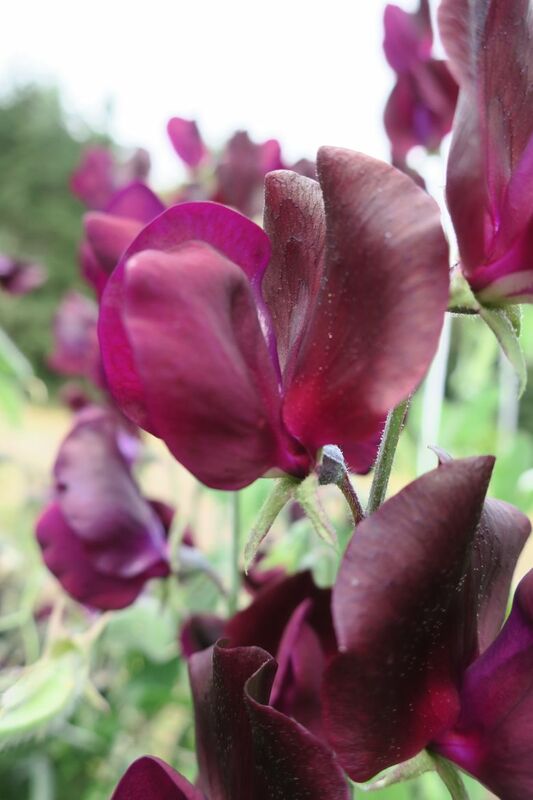 What’s not to love about the sentimental, sensationally scented sweet pea? Here’s how to get a jump on the season by starting seed indoors. 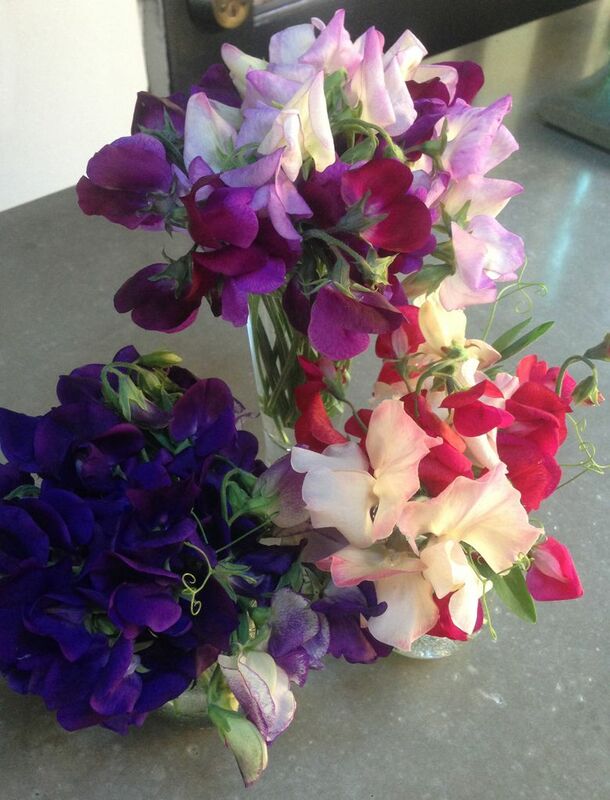 I ADORE SWEET PEAS. 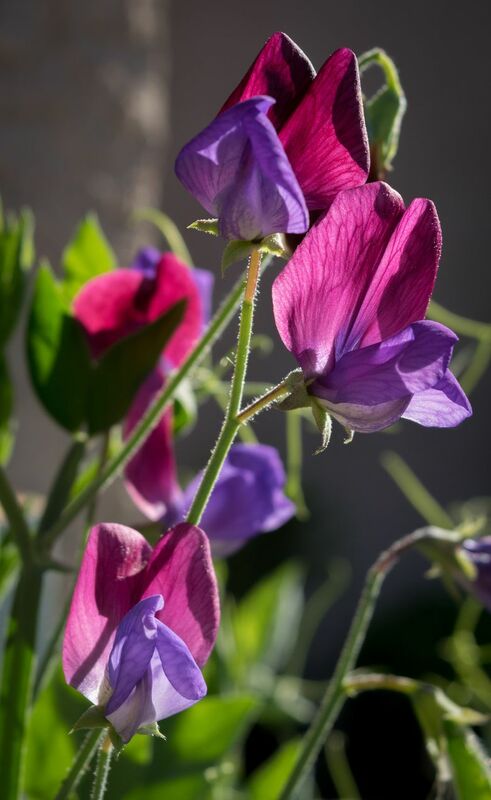 Their history — the first sweet pea is credited to a 17th-century Sicilian monk. The romance — the delicate blooms are totally swoon-worthy. But most of all, their fragrance! It seems sweet peas touch a tender collective memory in us all. How else can you explain the enduring popularity of this sentimental annual? Now is the time to get a jump on sweet pea season by starting seed indoors. 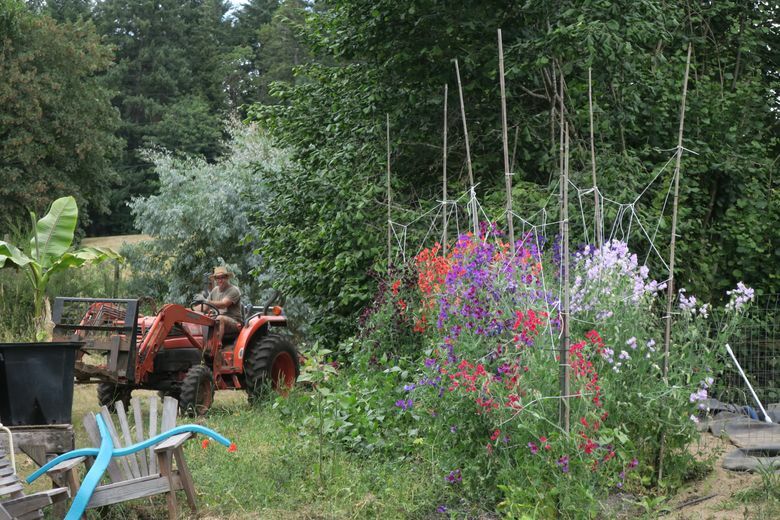 Sweet pea grower extraordinaire Langley Fine Gardens of Vashon Island grows more than 25 varieties of sweet peas, which are offered through regional nurseries and at the West Seattle farmers market each spring. Co-owner Leda Langley told me they concentrate on producing the sweetest-smelling choices, with a preference for heirloom varieties that withstand heat. 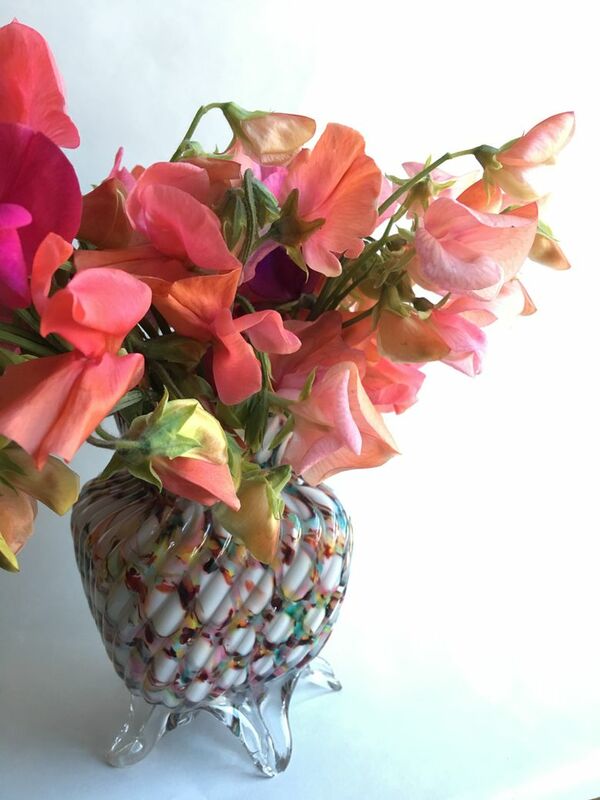 “I’ve had ‘Cupani’, the original sweet pea native to Sicily, still blooming on Thanksgiving some years,” she says. To support a long bloom season, Langley recommends amending the soil at planting with a granular organic fertilizer. Keep plants watered, especially in the heat of summer, and mulch heavily to keep roots cool. Boost growth during the growing season with regular doses of a liquid feed that’s strong in nitrogen to keep the vines thriving. Then harvest the blooms to your heart’s content — the more you pick, the more blossoms the plants will produce — and, after all, isn’t that the whole point? • Soak sweet pea seed overnight to soften the hard seed coat. Sow three to four seeds, 1 inch deep, in pots of moistened seed starting mix. Seeds will germinate in seven to 10 days. • Place indoor seedlings in a cool location where they will get good light to promote sturdy growth; too much warmth produces lanky stems. Pinch out growing tips when plants are 4 to 6 inches tall to promote branching. • Transplant seedlings into the garden when the pots have filled with roots, siting them where they will get plenty of direct sunlight and shelter from strong wind. Protect young plants from slugs, snails, birds and mice, which can devour vulnerable seedlings overnight. • Provide sturdy support for the vigorous climbing vines. A simple bamboo teepee further webbed with jute twine will work just as well as a formal metal obelisk. Dwarf and window-box varieties do not need staking but benefit from judicious propping to keep flowers out of the mud.